Times are tough! Therefore, a lot of South Africans are having to apply for debt review or bankruptcy in order to get their finances under control. As hard as it is, this is actually the first step towards making your monthly finances more manageable and rebuilding your credit record. How do you improve your credit record while you are recovering from bankruptcy though? And what if you also need a new car? 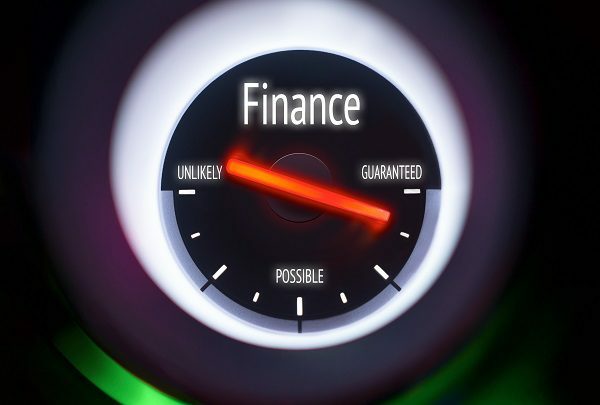 Even though it sounds impossible, our car finance deals at Earn-A-Car can actually help you improve your credit rating while getting you on the road again. Financing a new car is just about impossible if you have a low credit score rating. This is because you do not carry enough trust with the banks. If you really need a car, this is definitely possible if you choose a rent-to-own plan from Earn-A-Car. Our rent-to-own schemes give you the freedom of your own car to drive. However, you do not actually take ownership of the car but you have an option at the end of the period. This means that there is less risk. And consequently, it is easier for your application to be approved – so long as you are permanently employed and can afford the repayments. If you can not afford the payments you give us one months notice and you can give the vehicle back at no cost as long as your payments are up to date. We give you R300 cash back for every successful payment that you make on time. This is paid out as a lump sum once your rental period is over. The cash back that you receive, is enough to buy a car from Earn-A-Car, so you actually ‘earn’ your car by being consistent with payments! Even if you are still in a lot of debt, your credit rating will improve the moment you start making any kind of consistent payment. But of course, if you are recovering from bankruptcy you won’t be able to apply for credit! It seems like a vicious circle, doesn’t it? But if you are approved by Earn-A-Car for rent-to-own car solution, these payments will definitely count towards your credit score rating. In this way, not only does Earn-A-Car come to the rescue with car deals when you really need it most – and when you have been declined everywhere else… We also actively help you to improve your credit record so that you can get back on your feet faster! Earn-A-Car’s vehicle rent to own deals are perfect for anyone with a bad credit record or for someone who is recovering from bankruptcy. It offers the freedom of car ownership while also helping to improve a poor credit rating! For information on our affordable rent-to-own car finance deals, contact us today.